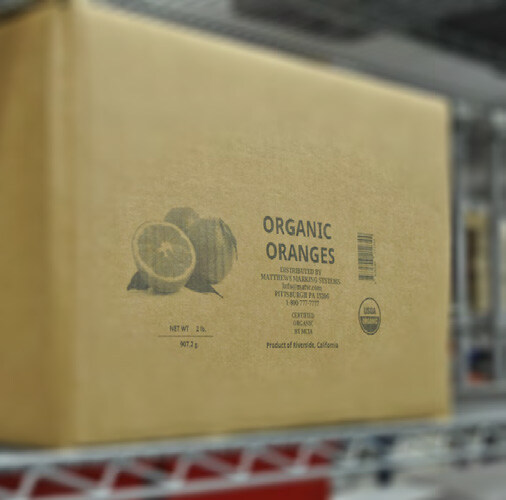 A well-known food and beverage manufacturer required an in-line, dual-sided printing solution to print label information on two sides of a shipping case. The label format needed to include alpha numeric code information as well as a GTIN barcode. The manufacturer also needed their existing label creation software (ClearOrbit Label Manager, CLM) to remain the primary message creation tool for line side production consistency. Matthews proposed its universal print platform, MPERIA®, combined with its high-resolution piezo printheads, T-Series. 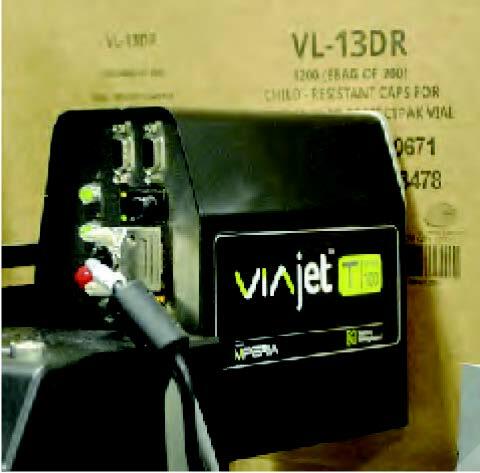 To meet the company’s needs, they required four MPERIA® controllers to manage four production lines, and a 4” print head for each production line. With Matthews’ MPERIA®, the food ingredient manufacturer improved production efficiency with in-line carton marking by reducing pre-printed box inventory, freeing up warehouse space, and cutting labor costs associated with incorrectly packed boxes. Most impressive, MPERIA® reduced the cost of printing drastically, the corrugated printed boxes were reduced by $38 per thousand and the previously labeled boxes were reduced by $118 per thousand. This resulted in an annual savings of $80,000 per year.